When is a bad cough serious illness? If you happen to get a nagging bad cough, serious illness could be cloaked by what seems to be a common cold or a virus. That nagging cough could be just a lingering cold or it could be a red flag signalling something much more serious and even potentially life threatening. How do you know when the cough is normal and when it’s something more serious? The first red flag is when the cough lasts longer than three weeks. 1. 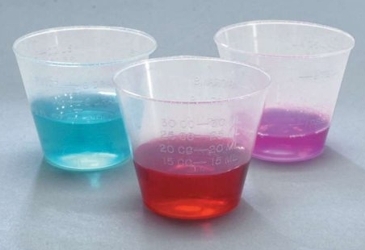 A persistent cough where you cough up a yellow or green discharge could be an infection such as sinusitis. If you also have a bad taste in your mouth after coughing or there’s a strong odor, this could definitely indicate a serious infection. In this case a bad cough is serious illness. Metabolic syndrome can put you at risk for serious heart disease, diabetes and it can make it difficult to lose weight. 1. A waist size greater than 35″ for women and 40+ for men. 2. Triglyceride levels of 150 or higher. 3. 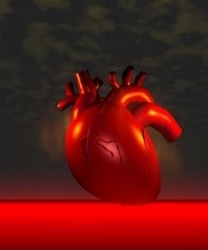 HDL cholesterol (good cholesterol) of less then 50 in women, 40 in men. 5. Faster blood sugar of 110 or more. 2. Lift weights to drop pounds. Research shows that little weight as infrequently as 45 minutes a week will speed up metabolism and help maintain current weight or drop a few pounds. Lose weight so that your body mass index (BMI) is less than 25. 3. Strive to get regular exercise, at least 30 minutes of moderate activity almost every day. Walking 5 – 7 days per week is an excellent option. Red Carpet bound celebrities understand the challenges of fake fat, which is really water weight. When preparing to showcase their best selves for a film premiere, major awards show or similar, stars know that the average woman may be lugging around anywhere from 15-20 pounds of water weight. 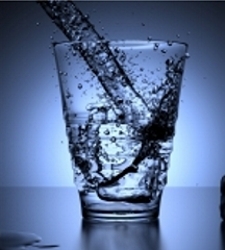 Water weight can occur for a wide array of reasons ranging from over consumption of salty foods to hormones. Even air can show up as fake fat. Whether water weight is temporary due to your premenstrual cycle, or an ill-advised binge, this type of weight, known as fake fat, can be flushed quickly. Some women only have water weight at certain times of the month, others have water weight all the time. Other causes of chronic water retention might include, but not be limited to a high sodium diet, lack of exercise, food allergies (including lactose intolerance) or general dehydration. Listed below are some well-known secrets for flushing water based fake fat in a matter of 7-10 days. Since my own hairy bed bugs encounter in an infested West Hollywood hotel room years ago, I’ve been researching and writing about the little bloodsuckers. I barely escaped with my blood intact. Unfortunately, bed bugs are an increasing problem some experts label epidemic. 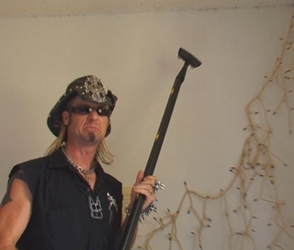 Famed A&E’s Billy The Exterminator had an episode (before the series ended), dedicated to battling a major bed bug infestation in Florida. The episode was very creepy, but also very informative. Billy used scalding hot steamers to kill the bugs which had exploded throughout the rooms. Eradicating bed bugs is an ongoing process not cleared with just one treatment. Misinformation has exploded as a result of the rising bed bug population. Luckily the U.S. Environmental Protection Agency (EPA) has been busy putting together helpful facts about Integrated Pest Management (IPM), Non-Chemical Treatments and even Pesticide Treatment Alerts. 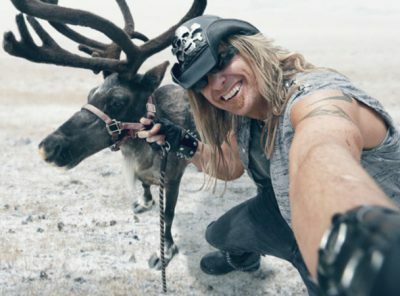 Hairy Bed Bugs – Billy The Exterminator – A&E – Billy Bretherton – Takes on the biggest pests & wildest animals of the Great White North. I’ve received emails from people who were bitten on their scalps, along their hairline as well as throughout their hair and roots. This seemed surprising. NBC Dateline consulted with Dini M. Miller, Ph.D., an associate professor in Urban Pest Management at Virginia Tech’s Department of Entomology. Dateline did a segment on the show which answered some pressing consumer bedbug questions. Dr. Miller pointed out bed bugs can make their way into areas of hair, but they really don’t navigate as easily on areas with densely popular strands. 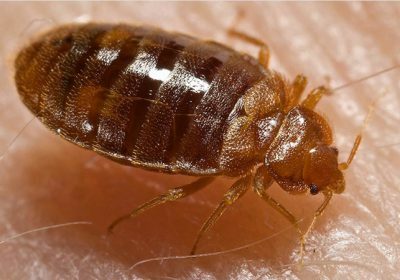 Unlike fleas and lice who have bodies or claws specifically designed for navigating through human hair, the common bed bug doesn’t have these capabilities. Bed bugs need to set their front claws in a particular position so they can strategically insert their mouth parts into the skin. This is necessary in order for the bugs to be in the proper feeding position. Hair can make easy feeding difficult for them. While bed bugs prefer to feed on hairless bare skin, if they’re hungry enough, or the swarm is large enough, they’ll bite the scalp, hairline and along the strands. Many people report bites on their face or some other less hairy areas. Others have reported biting inside the hair. If you’re bald or suffer from thinning hair, it’s even more likely they’ll bite you on the scalp, face, hairline and near the borderline of any hairy sites on your body. If you enter a bed bug infested zone, none of your body parts will be safe. Hair or no hair, bed bugs won’t be stopped once they’ve detected juicy bite zones. 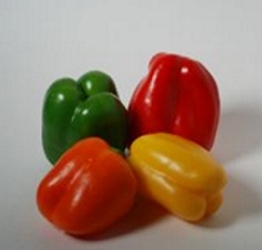 The EPA strongly suggests use of Integrated Pest Management (IPM. It’s an effective and environmentally sensitive approach to pest management which relies upon a combination of common-sense practices. This includes taking precautions against getting bitten by proper bug infestation identification and management. The EPA is concerned any use of pesticides used to manage the pests do the least possible damage to people, property, animals and the environment. For more information review Non-Chemical Treatments and even Pesticide Treatment Alerts. Many people are concerned about the growing bed bug problems and question whether new pesticides will be made available to the public to fight the battle. There is news of companies currently developing new bed bug pesticides. Dr. Miller explained all pesticides, including those for managing bed bugs which are labeled for use in the United States, must be registered by the EPA. In order to receive EPA registration, a pesticide product has to be thoroughly tested for acute and chronic effects on mammals such as laboratory rats and dogs. The potential effects on birds, fish and honeybees has to be documented. 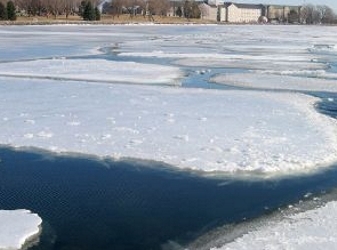 The environmental fate (half-life) of the products in water or soil must be quantified. Achieving EPA product registration costs an estimated $100 million. The high cost of EPA registration makes it more difficult for new pesticide products to make it into the marketplace. There’s been a 10 to 15 year trend in the reduction of the number of pesticides receiving registration for use in indoors. Indoor pesticide approval are very different than pesticides for agricultural use. Members of the EPA are not the only people concerned with indoor use of toxic pesticides. Many consumers have serious concerns about using pesticides or similar chemicals where children, pets or chronically ill people sleep and/or play. The EPA has their own warnings about using pesticides indoors to combat bedbugs. Never use a pesticide indoors which is intended for outdoor use. It’s very dangerous and won’t solve bed bug problems. Using the wrong pesticide, or using it incorrectly, to treat for bed bugs, can make you sick. It may not solve the problem. It could even make it worse by causing the bed bugs to hide where the pesticide won’t reach. Check if the product being proposed for use is effective against bedbugs. If a pest isn’t listed on the product label, the pesticide hasn’t been tested on that specific pest It may not be effective. 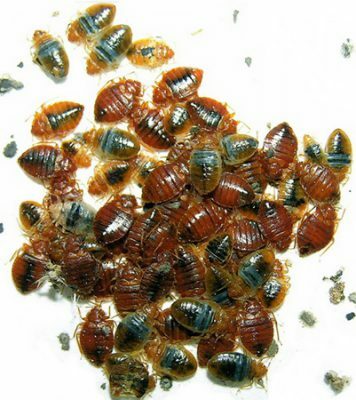 Avoid product use inside a home if bed bug treatment is not specifically named on the product label. Never allow a pest control operator to treat your home without reviewing the documentation about the product. Before using any pesticide product, read the label first. Carefully follow the exact directions for use. Keep in mind that any pesticide product without an EPA registration number has not been reviewed by EPA. This means the EPA hasn’t determined how well the product works. Since my own hairy bed bugs encounter with an infested hotel room in West Hollywood some years ago, I’ve been researching and writing about the little bloodsuckers. The increase in rise of bed bugs in the developed world may have been caused by increased international travel, resistance to insecticides, and the use of new pest-control methods which do not affect bed bugs. If bed bugs should become as big a problem as they were at the beginning of the 20th century, the public may demand the federal government accelerate the registration of pesticide products which are effective against bed bugs. When you’re working on a weight loss program it’s important to understand that not eating can cause as many problems as eating too much. Although you may think that severely limiting your daily caloric intake will help you lose weight faster, in reality, it could actually sabotage your weight loss program. According to obesity specialists cutting food intake too severely can ultimately prevent weight loss. If you’re on a weight loss plan be sure to eat at least the number of calories that your body burns while you’re at rest. Jessica Simpson, 31, is reportedly about to sign a $4 million deal with Weight Watchers (WW) to shed all of her baby weight. Jess officially announced on Halloween that she and fiance Eric Johnson are expecting their first child, believed to be a girl, early in 2012. Ironically, Jessica was in talks with WW before she became pregnant to become the new face of the diet brand. Her unplanned pregnancy actually turned out to be a godsend. Now she can lose her pregnancy weight with the Weight Watcher’s points system and get paid nicely for the opportunity. Under the contract, Jessica would reportedly have one year to use the point-counting system to “lose a significant amount of weight”. Jessica who had a star-studded baby shower at her Hollywood home this past weekend told the media she loves showing off her new figure although she agreed that she’s “bigger than ever”. Previous faces of Weight Watchers include Sarah Ferguson and Jennifer Hudson. Having a balanced and healthy thyroid is key for healthy hair. It’s a well-known fact that when the thyroid is not functionally properly it can cause a range of hair challenges. 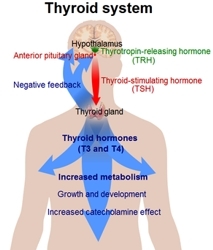 Thyroid hormone replacement meds are essential if you have hypothyroidism. Studies have shown that there are things you can do to help your meds work best. Be sure to talk to your doctor about the best time to take your thyroid medications. Ask what is the best time of the day to take the meds, whether you should take them on a full or empty stomach and a list of any foods which might hinder the success of the drugs. Avoid taking thyroid medications at the same time as calcium or iron supplements. Studies have shown that both type of nutirents can prevent thyroid hormones from being appropriately absorbed. The word on the street is that Jessica Simpson is scheduled to announce her pregnancy on the cover of OK Magazine on the issue that will hit the news stands in a few days. Indulging in cravings may work in some circles but it doesn’t work very well in New York, Los Angeles or other celebrity circles. A new trend in celebrity, high fashion and moneyed circles is to stay pin thin while pregnant. Even more pressure is on new moms to lose the pregnancy weight in the blink of an eye. Or at least to give that impression with the help of pregnancy Spanx or special post-birth girdles. After January 1, 2012 all teens in California under the age of 18 will be banned from using tanning beds in that state due to a new law signed by California Governor Jerry Brown on Sunday. According to the Indoor Tanning Association studies have shown that teens under 18 make up 5% to 10% of tanning-bed users nationally. Effective immediately all teens under 14 will be immediately banned from the beds. 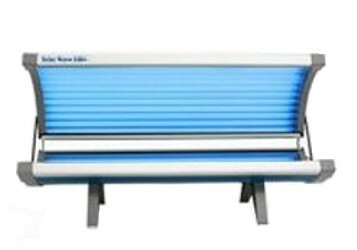 Teens 15 to 17 will be able to use the tanning beds with parental permission until the law goes into effect in January. Once the tanning bed laws in California go into effect all teens under the 18 will no longer be able to use the beds and will be required to go the natural route for that beach-bronzed look. Governor Brown signed the new tanning provision into law, the first state law of its kind.